Should I get a loan to pay off my credit cards? 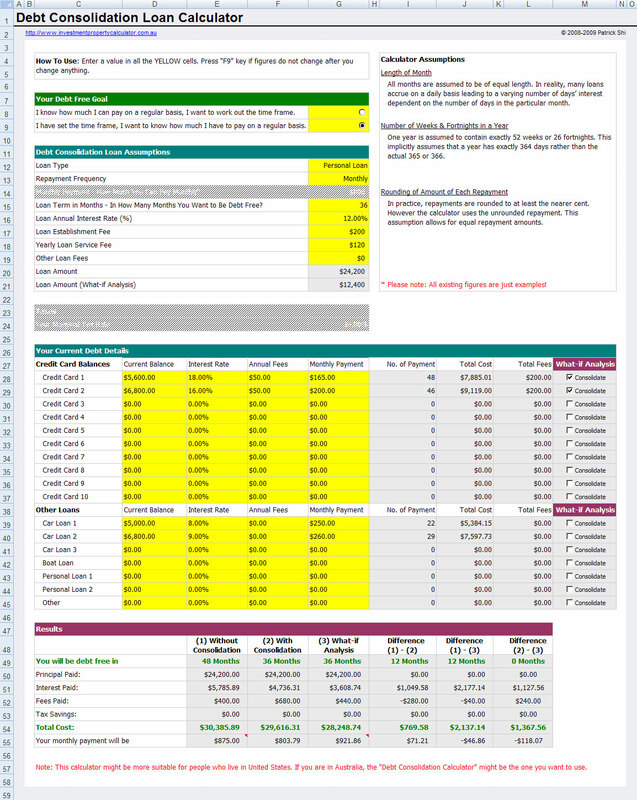 How much I could save by getting a credit card consolidation loan? How should I consolidate my credit card debt? If you have asked yourself these questions, you will find that this FREE Credit Card Debt Consolidation Calculator is useful for your credit debt consolidation. Generally speaking, debt consolidation loan might help you save on interest and get out of debt faster. It can also provide the convenience of one monthly payment instead of many. You need to consider all the factors, and decide if it is good to consolidate debt. 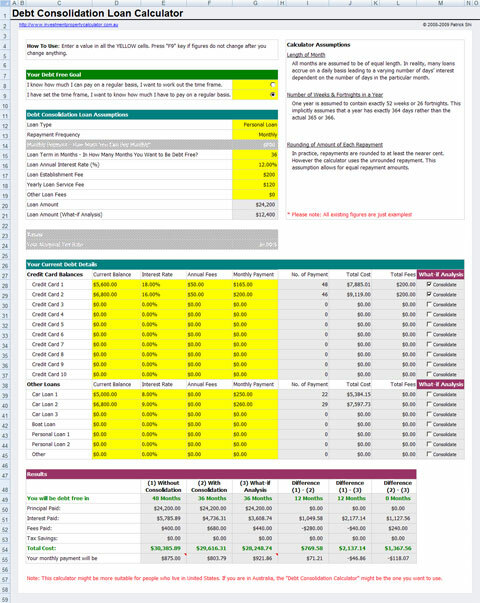 You should use this debt consolidation calculator to explore different scenarios in order to make a get out of debt plan. 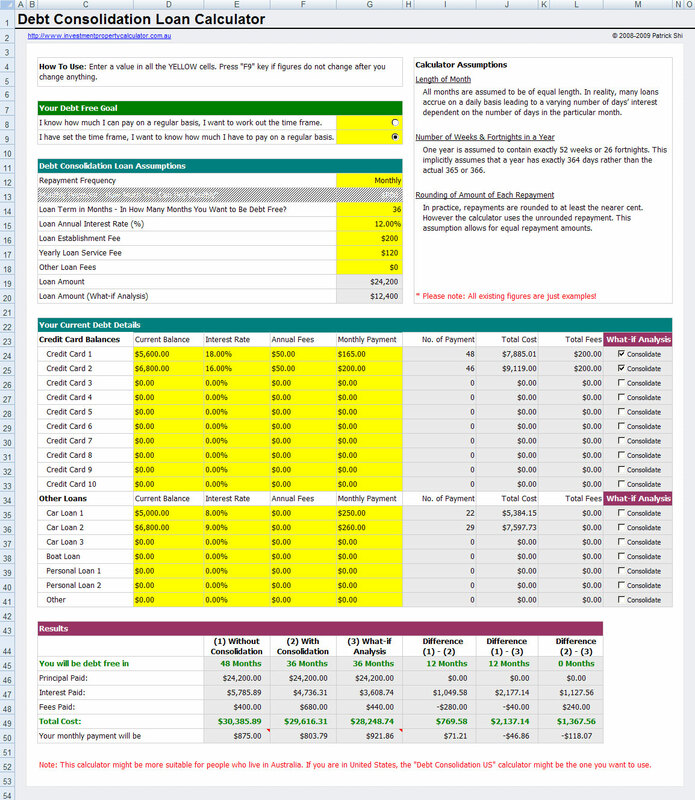 With this Free get out of debt calculator, you can see how changing your assumptions based on a fixed duration will impact your results as well as how changing your assumptions based on a payment amount will impact your results. One important debt consolidation advice to remember is that if the rate on the consolidation loan isn't lower than the rates on the individual debts, consolidating the debt would not be a wise strategy. 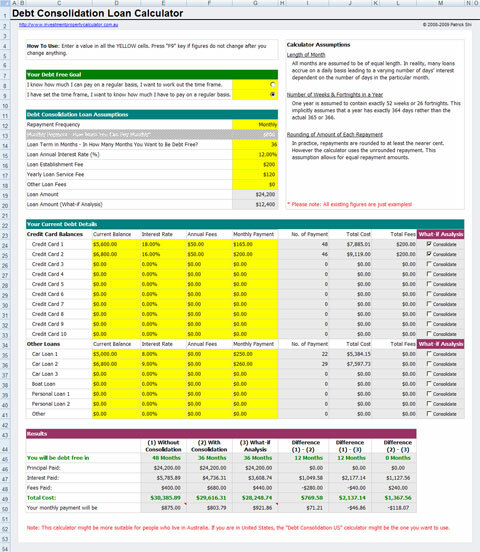 Here is a screen shot that will give you a better idea that what you need to do and what this FREE Debt Consolidation Calculator can tell you. Download FREE Credit Card Debt Consolidation Loan Calculator Now! You can consolidate up to 10 credit cards and 7 other loans including car loan, boat loan, personal loan, and other loans (say student loan).